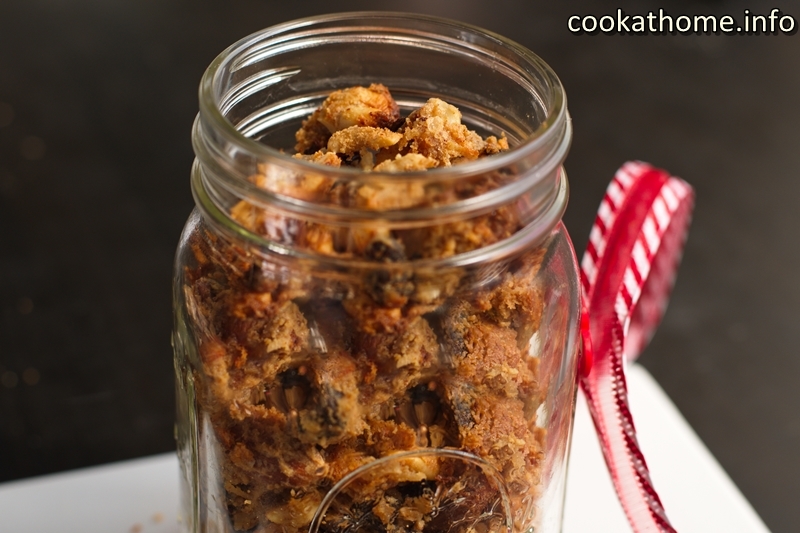 A healthy and hearty gluten and dairy free no oats granola – can be made as paleo, but will always be yummy! I love granola. As evidenced by the number of granola recipes on this site (see here, here and here just for a taste of them!) And almost every single time I make it, it’s a little bit different. I go through stage of wanting oats and not wanting oats. But the basic recipe is the same. Some sort of nut butter, some sort of natural sweetener, some sort of spice, a whole heap of dried fruit, nuts and seeds. Sometimes with coconut. Sometimes with puffed rice or oats. Do you get the picture? Anyway, this no oats granola is what I make on a regular basis now when I’m wanting granola. 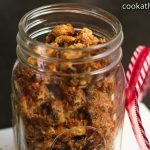 Really easy to make – and while I can’t go past peanut butter as the nut butter, you can easily substitute for almond or cashew butter to do it properly as a paleo no oats granola if you’re following that diet. And I usually just throw in whatever is in the pantry. Just make sure you get the ratios right. You’re aiming for a mixture before baking of clumps of food, but not too damp or dry. If it’s too wet then the granola is likely to burn before becoming crunchy. If it’s too dry then the clumps won’t form and you’ll just have a mixture of various foods in a bowl. Kind of like trail mix. Which I guess isn’t such a bad option …! Always yummy, no matter what. Melt peanut butter and honey together. Mix in the rest of the ingredients until all coated with peanut butter/honey mixture. Bake in oven at 180C for approximately 10 mins. Leave to cool and harden before transferring to sealed container.